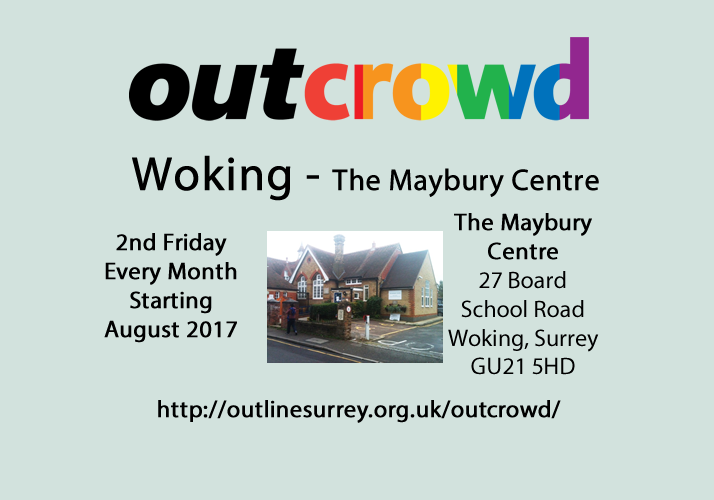 Outcrowd is a safe, inclusive environment for lesbian, gay, bisexual and trans (LGBT+) people and those questioning their sexuality and gender identity. The location is fully wheelchair accessible and has disabled toilet facilities. Tea/Coffee/Squash and biscuits will be provided. A donation towards this would be welcome to cover the cost of the refreshments. The guest list for this event on Facebook is anonymous but the wall is not. Outcrowd is a non-profit project run entirely by volunteers from the charity Outline. Support Outline by texting LGBT44 £1 to 70070 and donate £1 now.